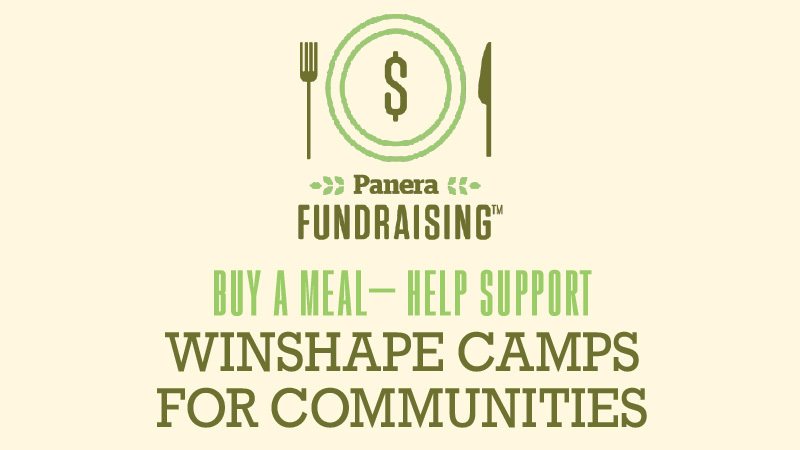 Enjoy delicious food and help support Winshape Camps! Join us at the Panera on Saint Charles Rock Road, on Saturday, April 13 from 4–8 pm. Click on the link below then show the flyer to a cashier, and Panera will donate a portion of the proceeds from your purchase (printed copies available at the info tables).